The other day I was moping the kitchen floor and my youngest son asked, “Mom, who’s coming over?” My kids honestly don’t think I clean my house unless company is coming or we are going out of town. Now that they are in school, I’ll clean during the day and they don’t see it. But, the conversation was still funny, kinda sad, but still funny. The only time they really see me clean is before a big trip, I have this sudden compulsion to clean my house before I leave. Do you have this affliction too? I have this fear that I’ll get robbed and not notice it because the house was a disaster zone before I left. The police will come and ask if the robbers made the mess, to which I’d say, “No it always looks like that”. It would be mortifying for me. All joking aside, I wanted to chat a little about cleaning with y’all today. I’ve been working on cleaning up the household products I use in my home. Many traditional household cleaners are effective at removing soap scum, disinfecting countertops and killed germs, but some of the ingredients they use can be harmful. Many cleaners contain toxic ingredients that decrease air quality, cause burns, or are harmful is they come in contact with skin or are ingested. Cleaning products were responsible for nearly 10% of all toxic exposures reported to U.S. Poison Control Centers. That’s nearly 207,000 calls. According to EWG, Environmental Working Group, harsh chemicals found in many household cleaners can cause or worsen asthma, trigger allergies and can be linked to some types of cancer. You can read more about it in this article, Cleaning Supplies and Your Health. In an effort to remove these harsh chemicals from my house, I have been looking for alternatives to common cleaners contains toxic ingredients. This year, I have been using products from eCloth, ECOS, and Rebel Green. Each of the companies sent review products to try out and I’ve continued to use them throughout this year. I wanted to share them with you because they make using safer cleaning supplies convenient and easy to do. This isn’t a sponsored article, but there are affiliate links. When you purchase through our affiliate links, they help keep our adventures going without any extra expense to you! ECOS is a family owned company based in California that has been making natural cleaning products for over 50 years. 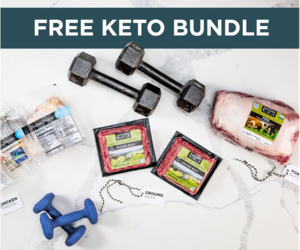 They have over 200 plant based products that are not only effective, but affordable. 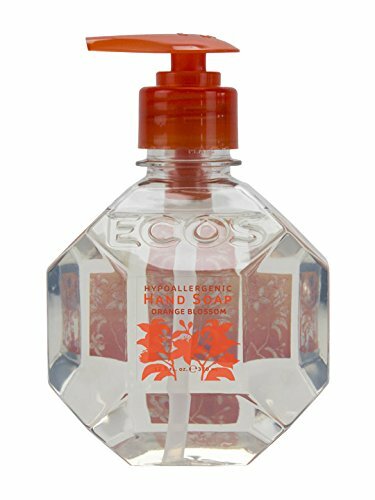 I started using ECOS Hand Soap last year because I really liked the soap’s scent. ECOS uses essential oils to provide gentle fragrances in their products. There is a line of fragrance free as well. I like the orange blossom hand and dish soap the best. I can use either version at home or while camping. In addition to hand and dish soap, they have a full line of household cleaners. Each are gentle, free of toxic ingredients, and can clean the whole house. Their all purpose cleaner clean almost any surface and uses the antimicrobial power of parsley to do it. I have used it on my countertops, painted walls, hardwood floors for spot cleaning, and bathrooms. It’s my current multi-purpose cleaner for the house. Earth Friendly Products Hand Soaps Orange Blossom 12.5 fl. oz. Earth Friendly Products Hand Soap, Lemongrass, 17-Ounce Bottle (Pack of 6) Earth Friendly Product Pl974632 Parsley Plus All Purpose Cleaner 32 Oz. There are few certified organic laundry detergents on the market. Rebel Green is one of them and they are made in the USA. These plant based laundry soaps are super-concentrated and really effective. For laundry soap, I tend to prefer fragrance free because I previously found many scented versions to be overpowering. Rebel Green offers unscented, but everything I received was scented. But I really liked that each of the scents were very mild and derived from natural essential oils like peppermint and lavender. The thing I like the best was how concentrated the liquid was. I have a high efficiency washer and all I needed was one (1) ounce per load. When I buy this soap, I’m buying an effective clean without added water, so that means less packaging. These are free of phosphates, phthalates, parabens and dyes leading to cleaner laundry without chemicals. Another product that I tried from Rebel Green is their Fruit & Veggie Clean. It’s a blend of essential oils that removes the grime from fresh produce. I like that after you wash the produce, all you taste is the food, not the cleaner. If you are like me and can’t afford to buy all organic produce, this is a great product to use. It will wash away any residue or dirt before I give it to my family. It’s piece of mind. Take a look at this Rebel Green video to see how the Fruit & Veggie Clean works. If you want to remove chemicals completely from your home cleaning routine, e-cloth is a great way to go. Their micro-fiber clothes use only water to clean surfaces. There is a specific cloth for every jab in your house; kitchen, stainless steel appliances, flat top cooking surface, glass, floors, etc. The secret is in how they design each cloth. Take a look at this video on how they work. I was skeptical at first that a microfiber cloth and water could do the job. But the cloth textures did a fantastic job of removing dirt/food from kitchen countertops and the cooktop. The stainless steel cloth did a great job on cleaning my appliances without scratching the surface too. The scrubbing pads worked better than my kitchen brush or non-scratch sponge. I see it holding up for a very long time and even included the second pad in my camping box for this year’s camping trips. These clothes are good for more than 300 washes. I’m most interested in the Complete Home Care Set – 12pc. I am interested in the rebel green fruit and veggie clean. Aunt fannies , I never thought about cleaning the floor with vinager. Great idea. I can find Rebel Green products at Kroger. I can get Rebel Green at Kroger ,Target , Whole Foods and Amazon. I like the Office Cleaning Set 5pc. I learned that you can scatter eggshells in your garden. I’m interested in the general cleaning cloth. I’m happy to see that I can find Rebel Green at Whole Foods. Thanks for the chance! I can find Rebel Green at my Kroger and my Target! I can find Rebel Green at Target or Amazon. I learned that you’ll save money, cut carbon emissions, and extend the life of your duds by line drying your clothes. I would be interested in trying the Kitchen Dynamo. I can order Rebel Green on Amazon! You can find Rebel Green products at Shaws, Earth Fare, Supervalu, Sunset, and Kroger as well as at other fine grocery stores. The one I will shop at is Giant. I learned just how many uses there are for vinegar. I already use it for some housecleaning chores. And it is very cheap. I like the high performance dusting and cleaning glove. I can get rebel green at whole foods, target, and amazon! Thank you! I can find the cleaning products at Target! I like the High Performance Dusting & Cleaning Glove from ecloth. I learned that I can find Rebel Green at Kroger! I will be checking that out! I learned that using ground egg shells mixed with soapy water is a great way to scrub pots and pans. I can find Rebel Green products at Meijer’s. I can find it at Whole Foods. I will have to check to see if these are sold at our Fry’s store… part of the Kroger stores. I have found great cleaning tips from this website.